The Center for Gender & Refugee Studies at the University of California Hastings College of the Law (CGRS) and the Migration and Asylum Program, Center for Justice and Human Rights at the National University of Lanús, Argentina (CDHUNLa) directed Childhood, Migration, and Human Rights in partnership with civil society organizations from each of the five countries examined. Partner organizations authored individual chapters as reflected below. In addition, the Washington, D.C. Office of the United Nations High Commissioner for Refugees (UNHCR) contributed a chapter based on its 2014 report on child migration in the region. 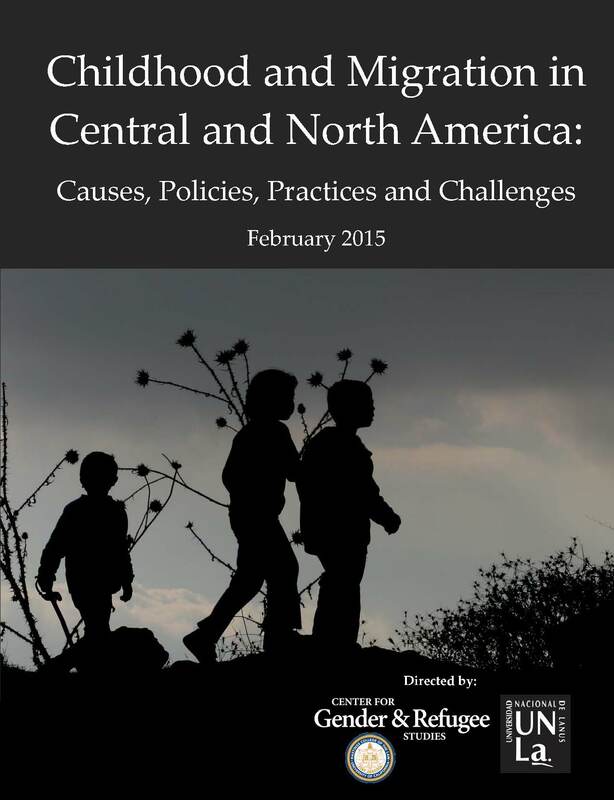 See the full study - Childhood and Migration in Central and North America: Causes, Practices and Challenges. See the press release from February 12, 2015. Programa de Defensa e Incidencia Binacional: Casas YMCA de Menores Migrantes andCoalición Pro-Defensa del Migrante, A.C.